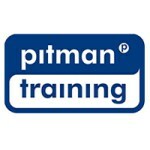 Pitman Training Centre in Limerick City remains the leading training provider in the South West. The reputation of Pitman Training Centre Limerick is recognised nationwide by employers and it enhanced by its Pitman Training Ireland West partnership which links them to centres in Galway and Sligo. Searching for a course provider that offers flexi-study and encourages you to achieve your goals as soon as possible? Look no further than Pitman Training. Their Limerick centre has a broad choice of full-time, part-time and distance learning courses that will teach, prepare and upskill students for their future profession. The Pitman Training Centre in Limerick also has experienced advisors for students to avail from when looking for support and guidance. The aim of this course is to increase your timing and audio transcription proficiency. You’ll also have the skills required to progress to the OCR qualification in Audio Transcription Level 2. This award focuses on three core bookkeeping courses designed to help you learn the workings of a manual bookkeeping system. On successful completion, you could opt to undertake relevant examinations to gain an AAT qualification. This excellent course will raise your game when it comes to business communication skills which is often top of the list of qualities demanded by employers.